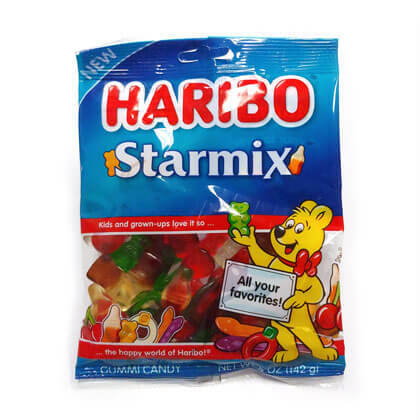 Gummi starmix by Haribo. Mix includes twin cherries, gummi colas, gold bears, rings, and twin snakes. Assorted natural and artificial fruit flavors. Firm texture. Imported from Europe. Approx. 18 pieces per 5 ounce peg bag.